The economic crisis which has gripped both sides of the divided island may offer a new incentive to restart stalled reunification talks. Demotix/Art Widak. All rights reserved. Recently, the economic crisis in the southern part of Cyprus received global attention. The crisis in the Republic of Cyprus (RoC) essentially derived from the banking sector. The recapitalization needs of the banking sector, which amounted to €10 billion as well as the government’s need for public services and debt servicing (around €7.5 billion) eventually forced Cyprus to seek a bailout. Cyprus’ 'bailout' and 'bail in' in March 2013 included an interesting experiment, a route not taken in any previous bailout. The method adopted includes a haircut of large depositors (over 37.5% for uninsured deposits over €100,000) and shutting down the second biggest bank in the RoC; Laiki Bank. Austerity measures such as salary cuts and pay rise freezes in the public sector, increase of the retirement age and increased working hours are also in place. It is anticipated that these implemented policies will bring severe depression, unemployment, bankruptcies, fall of GDP and a prolonged and deep recession in the next few years. Even though a lot of attention has been given to the crisis and the specific bailout experiment implemented in the Republic of Cyprus, very little, if anything has been discussed about the measures implemented in the northern part of the island - the Turkish Republic of Northern Cyprus (TRNC). Turkey - in the words of Turkey's ambassador to the TRNC, Halil Ibrahim Akça - has assumed the role of “the IMF of Northern Cyprus”. Moreover, little has been discussed about the similarities between the two cases. This article will focus on the recent economic restructuring pushed by Turkey in the TRNC. It will underline that maintaining the status quo on the island will mean that both the RoC and the TRNC will turn into protectorates of unending economic and social austerity, and the way out of this impasse is a political settlement which can bring economic revitalization amongst other things. 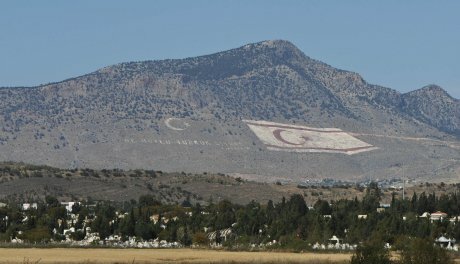 The Turkish Republic of Northern Cyprus (TRNC) was proclaimed in November 1983. From the beginning, the major source of Turkish Cypriot revenue has been and remains financial assistance from Turkey, which is the only state that recognises the TRNC. Overall, in the 1974-2004 period, Turkey provided $3.07 billion of financial assistance to Northern Cyprus. The Turkish government has also invested in numerous infrastructure projects, such as building schools and hospitals, roads, irrigation networks and telecommunication facilities. In 2008, aid and credits from Turkey was $566 million and constituted 38% of total government revenues. Without a doubt, the financial support from Turkey and, more importantly, its quasi-management of the country has limited the internal sovereignity of the TRNC. As Turkish financial support increased, so did its influence on Turkish Cypriot affairs. An overall assessment of this economy reveals certain trends. The TRNC economy after 1974 has been dominated by public services. The financial structure of the TRNC’s public sector is characterized by a high public deficit (as of 2008, 10.6% of GNP). A significant reason behind this public deficit is clientelist policies of political parties which aim to attract more votes through public employment and generous distribution of social transfers. In 2008, approximately 78% of expenditures went to wages, salaries and pensions and the share of government investment is very low at 9.2% of total expenditures. Agriculture and services together employ more than half of the workforce. The industrial sector in Northern Cyprus is predominantly labour intensive and mainly comprised of clothing, textile and frozen foods. The share of industrial production in total GDP was 8.3% in 1975 and 10.7% in 2008. The TRNC has a small number of items to export, and these are generally agricultural products such as citrus, potato and processed agricultural products. The TRNC is highly dependent on imports which have increased from $82 million in 1978 to an astonishing $1,680.7 million in 2008, whereas exports have increased from $23.9 million in 1978 to $83.7 million in 2008. The share of Turkey in imports and exports increased within the years. Imports have increased from 37.7% in 1977 to 69.8% in 2008 and exports from 27.6% in 1977 to 49.9% in 2008. These changes make Turkey the main trade partner of the TRNC and exemplify the TRNC’s economic dependence on Turkey. Tourism was promoted from the 1980s onwards. The 1980s became a transition period from the manufacturing industry to services, with a focus on tourism and higher education. There are no direct flights to North Cyprus due to its non-recognition, therefore the North could not attract the significant number of tourists needed to stimulate growth in the economy. Opening casinos became a deliberate policy of attracting tourists from the region and as a result the TRNC became the “casino haven” of the region, attracting gamblers from Turkey and the Republic of Cyprus where legalized gambling is prohibited. In 2007, net tourism revenues constituted 11.2% of GDP. Currently, the TRNC economy is undergoing a peculiar restructuring under the impulsion of Turkey. The TRNC has been signing economic protocols with Turkey from 1986 onwards. These protocols aimed to restructure the economy of Northern Cyprus in line with the economic policy preferences of governments in Turkey. The latest protocol was signed between the TRNC and Turkey on 4 December 2012. The key aims of the protocol, known as the “2013-2015 Transition to a Sustainable Economy Program”, can be listed as follows: taming the “cumbersome” state, transforming it into an apparatus based on “good governance”, transforming the state into a regulatory state, transforming a system based on patronage to a more institutionalised capitalism, improving efficiency in the public sector, creating an economic structure based on boosting the private sector and reducing the role of the public sector and public finance. Most of the aid that will come from Turkey in the duration of the program will be spent on boosting the private sector. The most important aspect of the protocol is the emphasis made on privatizations in 2013: it suggests that electricity, telecommunications and seaports will be privatized. Parties on the Left, labour unions and a number of civil society organisations have made explicit their criticism of the protocol. First of all, the institutions which will be privatized do not necessarily have deficits, or at least their deficits could be covered if there was enough political will. For example, one of the institutions that will be privatized is the KIB-TEK (Electricity Authority of Northern Cyprus). As of 1 January 2011, the total debt (for unpaid electricity bills) of government offices, tourist facilities, universities, local governments, mosques and the military to KIB-TEK is 311 million Turkish Lira ($134 million). Instead of using its political power to collect these debts, the government is determined to privatize this institution. Furthermore, the transfer of the ownership rights of some privatized enterprises to capital groups closely aligned with the ruling party in Turkey, the AKP, is creating tension between Turkey and a significant section of the Turkish-Cypriot community. Another criticism related to privatization underlines that even though the protocol aims to boost the private sector, it does not aim to improve the working conditions of the private sector employees (there is a big difference between private and public sector in Northern Cyprus in terms of pay and rights - most private sector employees are not unionized). Essentially, the December protocol is best described as a financial discipline program, which fails to provide any serious solutions to the structural problems of Northern Cyprus economy. For example, there are no provisions on how to improve investment conditions for the private sector, on how to increase the exports of the Turkish Cypriot producers (Turkish Cypriot exporters meet significant obstacles in exporting their products to Turkey), or on how to improve private sector’s access to financial sources. Apart from forcing a transition from the so called “cumbersome state” to some sort of a leaner state, the policies imposed by Turkey do not promise a way out from the economic crisis in the North. On the contrary, its single minded emphasis on neoliberal reforms in a quasi-country defined by a small economy, unemployment and stagnation, will almost certainly invite further unemployment and impoverishment for Turkish Cypriots. If the protocol is implemented completely, a number of state economic enterprises will be bought off by Turkish capital and key strategic sectors such as electricity and telecommunications will turn into private monopolies. The similarities between the economic restructuring implemented in the two halves of the island are rather obvious. Whether it is imposed by the Troika or Turkey, the neoliberal logic behind the economic policies is hard to miss. In the RoC, a banking crisis has turned into a public deficit crisis which will be resolved through a haircut of large depositors as well as austerity measures. In the TRNC, even though the economy has various structural problems, such as a miniature market, lack of direct flights that undermines its tourism potential and limited export opportunities, the government is implementing policies aggressively aiming to roll back the state. Clearly, a perpetuation of the status quo means that both the RoC and the TRNC will turn into protectorates of unending economic and social austerity. Within these circumstances, a reunion settlement might significantly boost the economies of the south and the north and normalization of relations between a federal Cyprus and Turkey could provide a wealth of opportunities. For a start, Turkey is a big market, so trade potential will increase. In 2009, the RoC exported products to the Turkish market (through indirect ways) for an estimated $1-2 million. This is quite low for the RoC as its yearly exports amount to $600-650 million. A settlement to the Cyprus problem and cooperation between Greek Cypriot and Turkish Cypriot bourgeoisie might significantly increase the share of Cypriot goods in the Turkish market. Another possible advantage is related to natural gas discoveries off the southern coast of the RoC. In December 2011, the RoC announced that an estimated 198 bcm was discovered in the field known as Aphrodite. 198 bcm of estimated reserves are tiny when compared with the world’s major gas producers - Russia, Iran and Qatar - which hold several trillion cubic metres each. However, the discoveries have still generated excitement because there may be considerably more gas (and potentially crude oil) . There are several options open to the RoC for exporting natural gas: exporting it in processed form as liquefied natural gas (LNG), in semi-processed form as Compressed Natural Gas (CNG) or in pure form through a pipeline. According to a recent study, in comparison to an LNG plant which has very large running and investment costs, a pipeline to Turkey’s vast network of domestic and international pipelines would be a serious option because investment costs of shorter pipelines of this length are considerably lower than the construction of LNG facilities. This option would not only generate an additional €15 billion in net revenue after major investment costs, but it would also bring in revenue sooner than an LNG plant, thus raising the net present value of the gas even higher. Cyprus is once again at a crossroads. Perpetuation of the status quo means more than division and never ending tense relations between the parties to the conflict. It also promises more austerity and more impoverishment for Cypriots. A political settlement of the Cyprus problem is no more a romantic ideal held by a pro-peace, pro-reconciliation minority in Cyprus. It also arises as a significant possibility for a way out of this impasse.